At Units Online we continually check our prices to ensure we offer the best prices for your new kitchen. Our goal is to offer you the best possible quality and value for money when buying your new kitchen units. Best Price Promise - If you find any like for like kitchen units cheaper elsewhere we will not only match the price but we’ll beat it! 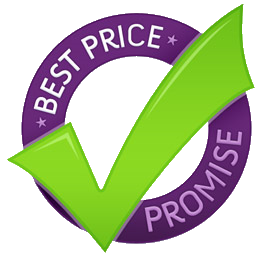 How we do the Best Price Promise? - If you do find any like for like branded kitchen units cheaper elsewhere simply contact us. We will ask you to supply your quote, which will need to contain full details of the kitchen and the company that we will be conducting our Best Price Promise against.